Bijoux Hen Parties Blog: So Scandalous!! 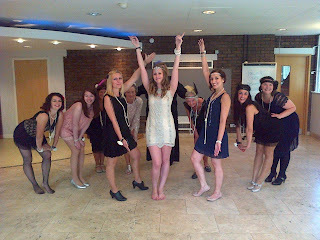 Today,down at Bijoux HQ,we are trying to perfect our Charleston moves.We are always breaking out into a song or dance! 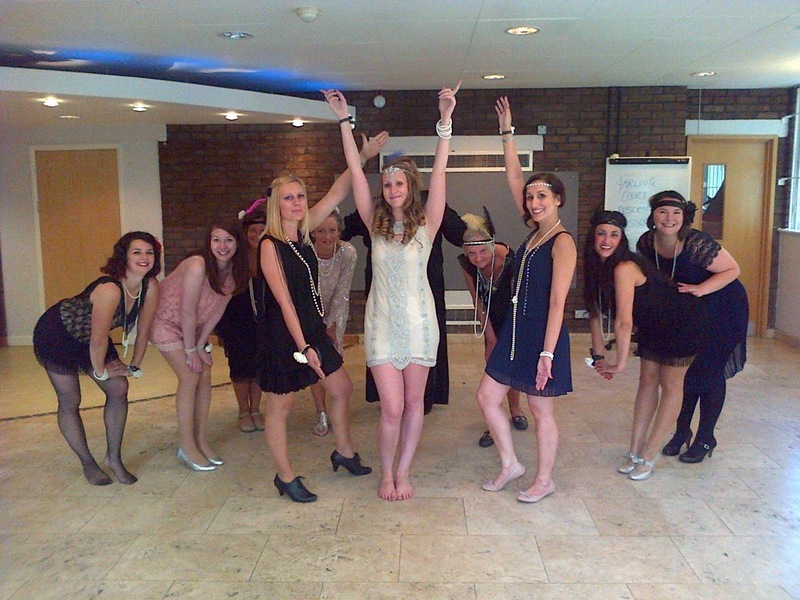 Our Charleston hen parties are proving a firm favourite all across the UK.The cheeky moves and glamorous style is definitely a hit when hosting a party! Did you know that The Charleston is a dance named for the city of Charleston, South Carolina. It became well known in the United States in 1923,when a tune called "The Charleston", originated in a Broadway show. Then it became one of the most popular hits of the decade! The Charleston dance was particularly favoured by the Flappers, rebellious young women of the 1920′s known for wearing short dresses, bobbing hair and listening to Jazz music – all considered scandalous! During this time,It was banned from many dance halls because it was too exuberant!